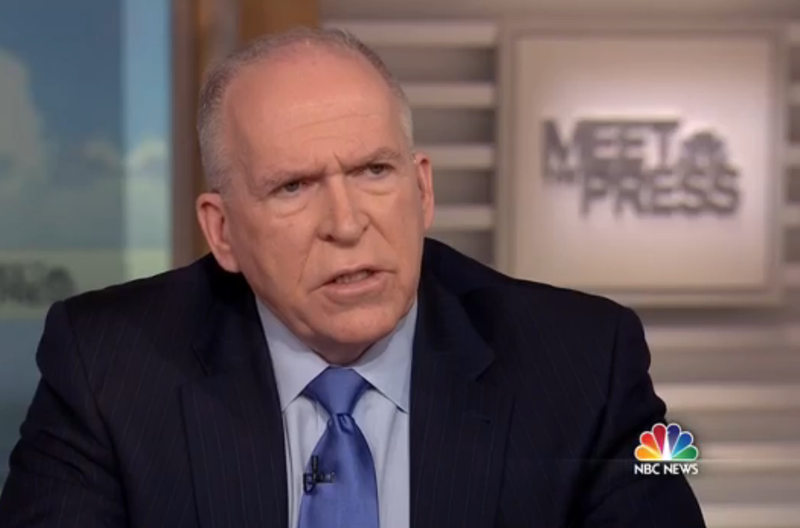 Echoing recent statements by the co-chairmen and the executive director of the 9/11 Commission, CIA director John Brennan today used an appearance on Meet the Press to cast doubt on the contents of 28 classified pages from a joint congressional intelligence inquiry that are said to link Saudi Arabia to the attacks. In his own Meet the Press appearance last week, Graham countered the notion that the 28 pages are a grab-bag of unsubstantiated leads, pointing to the fact that the 28 pages are just one part of a report spanning nearly 850 pages. “There’s been no questions raised about the professionalism and quality of the other 820 pages of that report and this chapter followed the same standards that they did,” said Graham. Brennan’s discrediting of the 28 pages relies on a key underlying premise: that the 9/11 Commission thoroughly investigated the indications of Saudi support found in the 28 pages. However, as we described in detail on Thursday, there’s a compelling case that the commission failed to do so, thanks to obstructionism by the George W. Bush administration, the commission’s lackluster efforts to overcome it and the possibility that executive director Zelikow deliberately aided the White House in curtailing investigation of Saudi connections. Meanwhile, a recently declassified document revealed that two 9/11 Commission investigators assigned to examine the kingdom’s links to the hijackers were so wary of political influence on their work that they actually recommended making a probe of that phenomenon a key facet of their investigation. 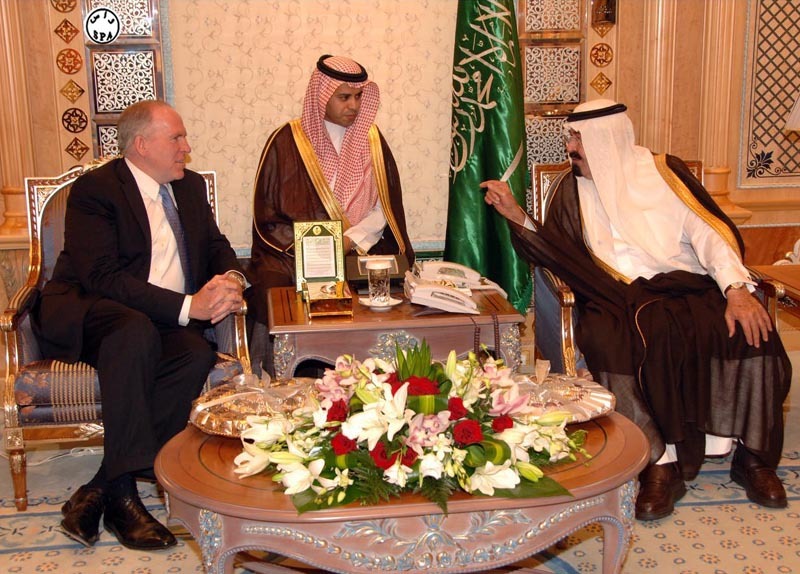 Brennan also pointed to the separate 9/11 Review Commission as having reinforced the conclusions of the 9/11 Commission: Note that undertaking was managed by the FBI—which has its own demonstrated record of concealing information that might implicate Saudi Arabia. Efforts by Brennan, Kean, Hamilton and Zelikow to discredit the 28 pages should be viewed in light of their possible motives. 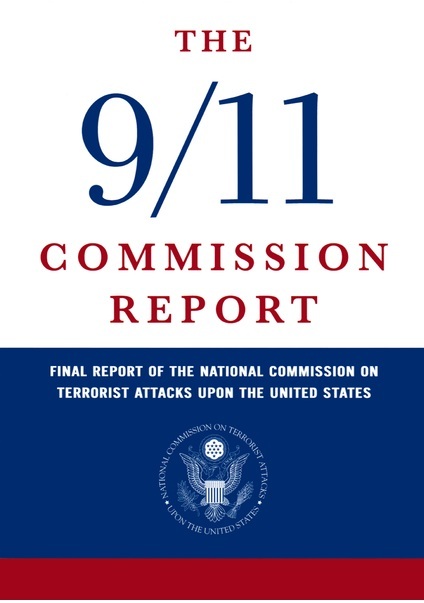 For the 9/11 Commission leaders, those motives may be deeply personal: To the extent the 28 pages counter the commission’s verdict on Saudi links, they pose a very real threat to their professional reputations. The CIA director’s potential motives are likely more far-reaching; we’ll examine three of them. Second, there’s the possibility that the revelation of the 28 pages could strike an enormous blow against the entire narrative of the U.S.-led “war on terror,” in which Brennan’s bureaucracy plays a central role. Finally, the 28 pages may reveal embarrassing details about the CIA’s conduct before the 9/11 attacks. Many of the Saudi-9/11 connections detailed elsewhere in the joint inquiry revolve around San Diego-based hijackers Khalid al-Midhar and Nawaf al-Hazmi, so it’s reasonable to think the chapter on financial support focuses on them as well. 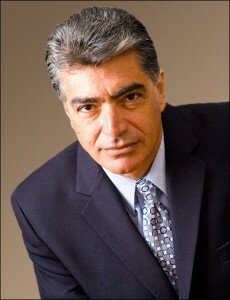 In January 2000, the CIA learned that al-Midhar, who had already been linked to two 1998 U.S. embassy bombings in Africa, had obtained a multi-entry visa permitting him to freely travel to and from the United States. When two FBI agents assigned to the CIA’s al-Qaeda unit tried to alert their headquarters, the CIA stopped them. One of those agents, Mark Rossini has a theory for the CIA’s catastrophic silencing of himself and agent Doug Miller: He believes the CIA was attempting to turn al-Midhar into a CIA asset. If conducted on U.S. soil, that action would have been unlawful, Rossini says. Former White House counter-terrorism czar Richard Clarke shares Rossini’s theory. Thus far, Kean, Hamilton and Zelikow’s assault on the credibility of the 28 pages has been reported by journalists and echoed in editorials without any scrutiny of their potential motives. Let’s hope that one-dimensional approach subsides in the wake of Brennan’s own salvo against the 28 pages, and that his remarks are weighed against those of many others who’ve read them.